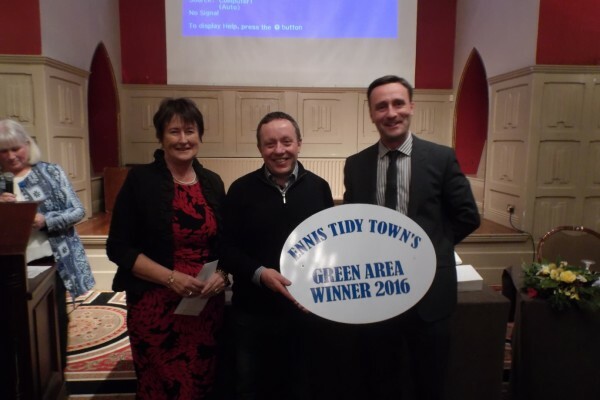 Ennis Tidy Towns are urging people to focus on waste minimisation this year. It is not as hard as you think. Follow our simple suggestions and integrate them into your life and make a huge difference. 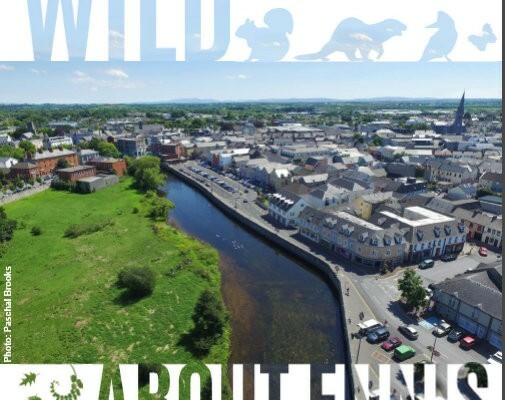 Waste Minimisation and recycling are now central to the ethos of Ennis Tidy Towns and a huge focus is now directed toward creating awareness among the general public. Money is the most immediately noticeable reason at present. Bin charges have people talking, the media watching and everybody observing their bin weight. Whether you are cash strapped, thrifty, stingy or just not squanderous – the financial motive is a significant one. The other obvious motivation is environmental. For over a generation, protection of the environment has been considered a top priority for those who care about the world around them. Cotton shopping bags were in use by the dedicated minority long before the plastic bag tax. 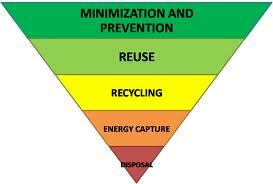 Different people have different environmental concerns, but all (or most anyway) point towards waste reduction. Whether you want to stop an incinerator in your county; tackle litter on your street; protect inland rivers and lakes or the coastline; or tackle local air pollution caused by burning plastic, waste reduction is an active way to minimise your own contribution to the problem you are trying to solve. Social motivations include, for example, legislative pressures, limitations on landfill space and ease of accessing recycling depots. People’s priorities range broadly. Some people choose to dump illegally, for which public pressure can be an effective motivation to stop. Others have a “Not In My Back Yard” attitude about littering and landfill sites, for which drawing the link between bin use and landfill requirements can be a good prompt for change. Some have a genuine concern about the world at large, for which good education is essential in encouraging positive change in lifestyle and behaviour. Health can be linked to both Social and Environmental motivations. 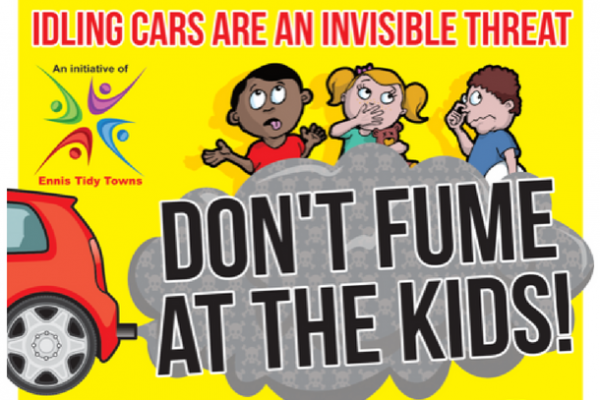 In a direct way, incineration and household burning of plastic contaminate the air we breathe. Landfill leachate can pollute the water we drink and both the air and water contaminants can build up in the food we eat. Happily, waste minimisation and health choices often coincide. If we buy our carrots loose from our local farmers market; our eggs from a neighbour who wants the boxes back; and grow our own salad greens, we immediately reduce the amount of plastic entering our kitchens, and improve our diet. So how do we step in the right direction? Step 1 – Be Ruthless when Shopping. Allow into your home only those things that can leave it again without going via the bin. Step 2 – Compost all you kitchen and garden food and plant waste. There are some exceptions depending on your circumstances, but basically everything organic in nature can be composted in one way or another. Step 3 – Reuse Everything that you possibly can. Reroute unwanted but functional things to friends, relations, charity shops, book shops, charities or other places that can find a genuine use for them. Use returnable containers where possible. As a last resort reuse the materials within your unwanted items by recycling glass, paper, card, plastic, metals and textiles. Tool 1 – Information on composting, waste minimisation, recycling and simplicity is all freely available on the internet, in the library, from environmental groups and other sources. Use it to complement this book wherever you come up against a stumbling block and have difficulty getting your rubbish down to zero. Tool 3 – Get rid of your bin. Nothing focuses the mind more than burning your bridges. But do so from a place of informed confidence, not blind ignorance. Read on, make your decision and cancel your bin collection as soon as you are ready. There is a wealth of resources available online. There are lots of second hand shops and repair shops around Ennis. Scéal Eile, Lower Market St., Ennis. Oxfam Bookshop, Parnell St., Ennis. Irish Cancer Society charity shop, Wood Quay, Ennis. Paw pourri, Lower Market St., Ennis. Somalia Shop, Wood Quay, Ennis. St. Vincent de Paul shop, Parnell St., Ennis. Enable Ireland, High Street, Ennis. Environmentally it’s almost always better to repair than to replace with something new. Many businesses in Ennis offer repair services although we don’t always think of them. Look online or in the phone book for repair services for your car, bike or computer, for household appliances, cameras, clothes alternations, for garden furniture, your house or your shoes… this list goes on and on. Too many to list here, but too important to leave out. How do we meet our own needs without compromising the ability of future generations to meet their needs? Well, fossil energy is a good place not to start. It is easy to understand that if we take the energy from sunlight that was stored up millions of years ago as oil, gas and coal and burn it all over the course of one short century, producing lots of greenhouse gasses, that we’re treading on lots of future toes in the process. So, how do we live more in harmony with nature and with one another when the whole of life seems so dependent upon oil? So if we rely on the energy resources available to us now, right now, rather than resources laid down millions of years ago, resources that happen to be running out fairly quickly, how would we redesign our lives and lifestyles? How would we grow our food? How would we heat our homes? How would we build our homes, come to that? How would we produce the thing we need? How would we change the way we spend our money? Would we change our money to make it work for us like many communities are now doing? Here are a few websites to get you thinking and acting in a more sustainable way. This is just a tiny snapshot of the websites that are out there. The emphasis is on Co. Clare and Irish sites, but many excellent resources are available from elsewhere around the world too. Think about the entire lifecycle of a product – from manufacturing to use to disposal.